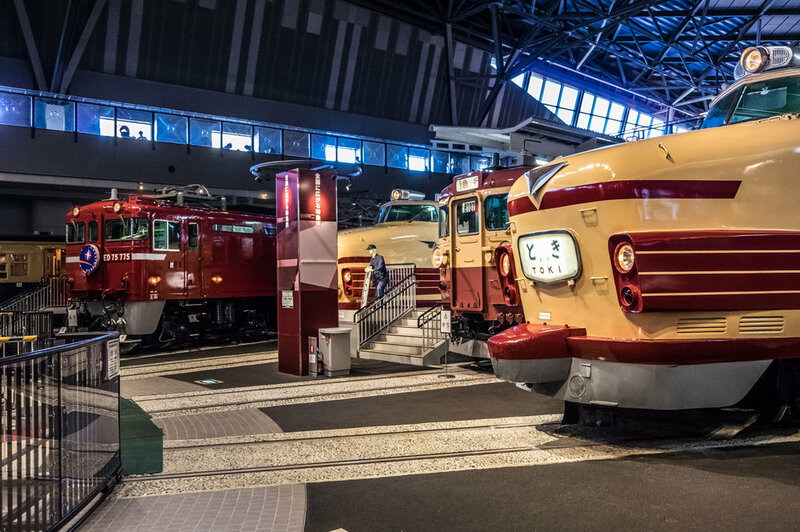 The Railway Museum in Saitama prefecture, which is next to Tokyo, is a real mecca for those who are into trains. It is pure railway heaven. 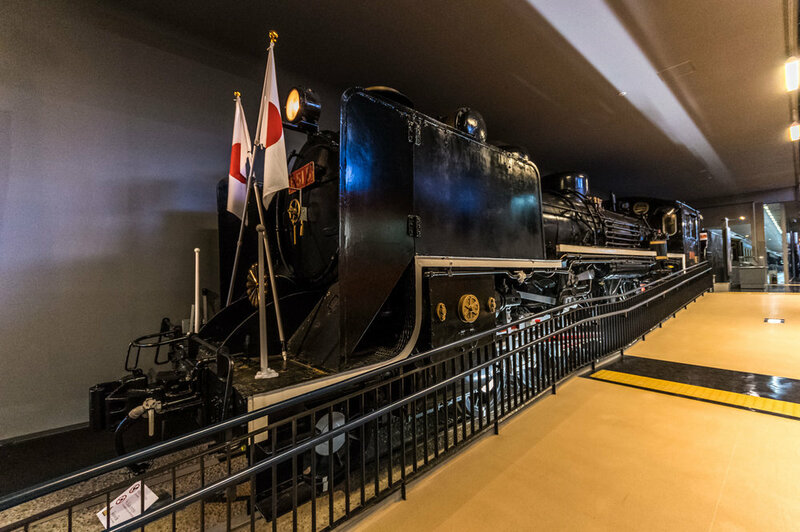 The displays take you from the earliest development of rail in Japan through to the modern day. You can see more than 30 trains, from the Locomotive No. 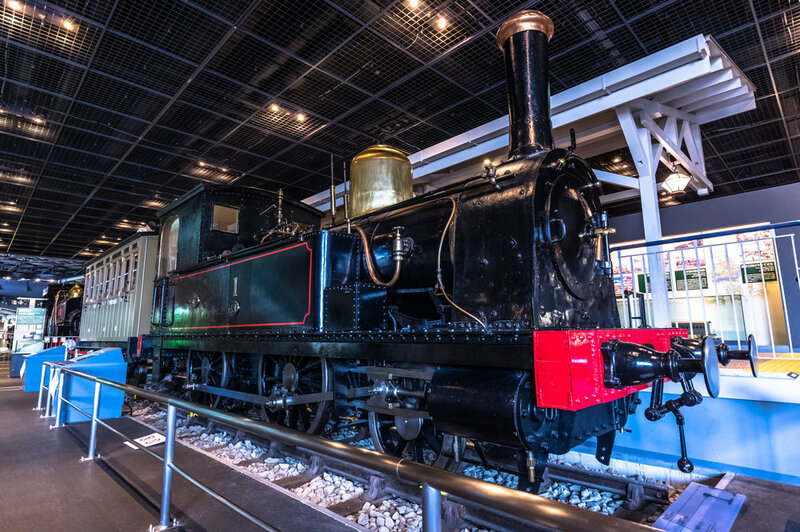 1, a British-built train, that was used on the Shinbashi-Yokohama line in 1872 and is now a designated important cultural property through to the modern Shinkanasens (bullet trains), plus everything in-between. There are even several carriages there that were used by the Japanese Royal Family. It is a fantastic place for railway lovers. When you enter the museum, after buying your tickets, turn right and you’ll be in the "History Zone", which is the main part of the museum. Here you’ll find the major displays. The trains are immaculately displayed and you can climb aboard many of them. I think everyone’s favourite though is the A Class C57 No. 135 steam locomotive. This train is mounted on a turntable and comes alive twice a day, at 12 pm and 3 pm, when its whistle is blown and the train itself moves around on its turntable. It is a great crowd pleaser, especially with the kids and those who grew up with this type of train. The crew, in authentic period outfits, blow the whistle at regular intervals as the train turns around a full 360` on its turntable. Make sure to keep your ears covered, as that whistle is very loud! There is a lot more to the Railway Museum. You can also look at one of Japan`s largest HO-scale railways dioramas. It is pretty cool as its lights change colour according to the time of day. You can also play on the train simulators (500 yen plus you need to make a reservation). Outside there is also a miniature railway line (200 yen plus a reservation required) that will take you over miniature tracks stopping at equally miniature stations that found in Tokyo. Most of this stuff needs a reservation, so ask at the reception desk. This museum is just so much fun. Everything is centered around anyone who has any interest in trains. Some of the smaller trains have walkways underneath them so you can get really close up and see what made them work. There are numerous scale models placed throughout the exhibits and they were built with great care and attention to detail. And if you have children, the museum has something for them too. There is a library filled with some great books, a Lego play area and interactive zone where you can learn more about trains. Kids should love this place. When you need some time to relax, one of the best ways to do head to the viewing deck, which is on the third floor. From there you can watch the Shinkansens race by. Those trains come by very regularly, about once every five or ten minutes if you are there at the right time. Luckily, due to noise regulations, they travel slightly slower than usual here so you should time for some good photo opportunities. 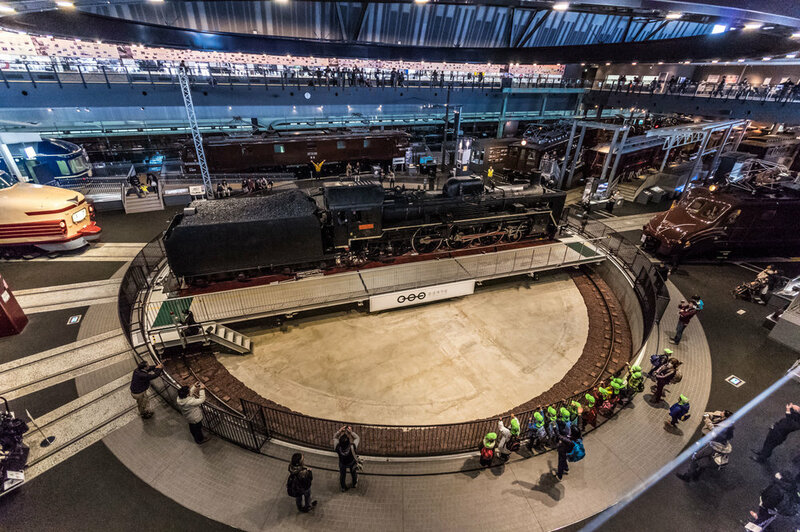 As the Railway Museum is quite large, you won’t have to travel outside to eat as it has a few restaurants! You can either eat at one of the restaurants inside the building or you can buy an, "ekiben" (a packed lunch sold at stations - extremely popular in Japan). Usually you can also eat outside the main building in some trains, but unfortunately that area is closed for renovations until 2018. Just remember that if you do go, allow plenty of time for it as the museum is enormous being almost 800 meters long. The trains, the displays and everything else you can see and do there will take a lot of time. And even though the explanations are mainly in Japanese, I’m fairly confident in saying there is enough in English to keep everyone satisfied. You can see the museum's website here. You’ll find the the Railway Museum right next to Tetsudohakubutsukan station which is in Saitama Prefecture, west of Tokyo. To get there you can use the Keihin-Tohoku line from Ueno or the Saikyo line from Shinjuku or Ikebukuro. Leave Omiya station leave via the south exit. Once out, just walk straight ahead (following the signs) to the New Shuttle (roughly 200 meters - don`t leave the building). From Omiya station it costs 180 yen and it is only a couple of minutes to Tetsudohakubutsukan station. From Tetsudohakubutsukan station it is only a one minute walk to the museum. The Railway Museum is open from 10am to 6pm, with last admittance at 5:30pm. It is closed every Tuesday and over the New Year vacation period. General admission for adults is 1000 yen. If you have a Suica train pass, you can use that to purchase your entry tickets at the electric ticket vending machines.